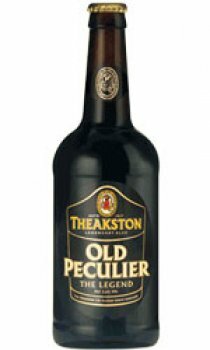 A dark, strong beer Old Peculier is justifiably famous for its rich and complete character, its sheer strength and for being a beer with a long history. Deep dark ruby. Fruity, mellow, warming. Rich, full-bodied, malty. A rich, dark, smooth-tasting beer with an unequalled flavour. Brewed using the traditional Fuggle hop and has a large and enthusiastic following all over Britain and around the world.